Introduction Hengxin Printing Machine Co., Ltd established in 2003, is one of the largest screen pad printer manufacturers in Zhujiang Delta Area in China. Our tenet is to supply the highest quality products for customers with reasonable price and first-class service. We also sell all kinds of screen printer raw materials and ancillary equipment, as well as screen pad printing machines and peripherals. Quality control Our products are manufactured according to a set of scientific and reasonable production process strictly. We ensure the unity and stability of products effectively. We choose materials and accessories from famous brands all over the world, such as Germany FESTO and Japan SMC. All of them are world famous aerodynamic part manufacturers. 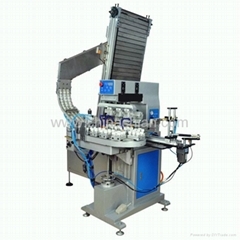 At the same time, each machine has passed strict quality inspection to ensure smooth operation. 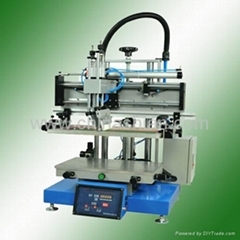 Each machine will receive parallel test, fuel injection test, accuracy test and other tests, making sure our products achieve a perfect situation. Study and Development In addition to monitoring production strictly, we pay more attention to study and develop new products. You will see our engineers using kinds of advanced design tools and computers to design new products, or improving existing models. In addition, we will meet and discuss with customers regularly, in order to collect their views to meet customers' requirements. After long-term development, we already have our own four well-known brands, such us HY, TW, HD and HC. Your valuable suggestion or criticism is our real fortune. We welcome any of your advise or suggestion. We hope that we'll have opportunity to cooperate with you in the prospective future.